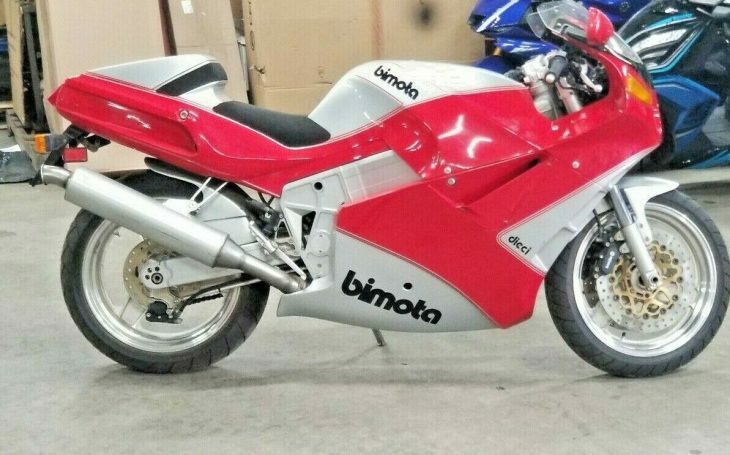 Bimotas are unparalleled garage ornaments: blessed with exotic components, striking looks, and wild graphics, they're two-wheeled art and look every bit the barely-tamed racebikes they're purported to be. 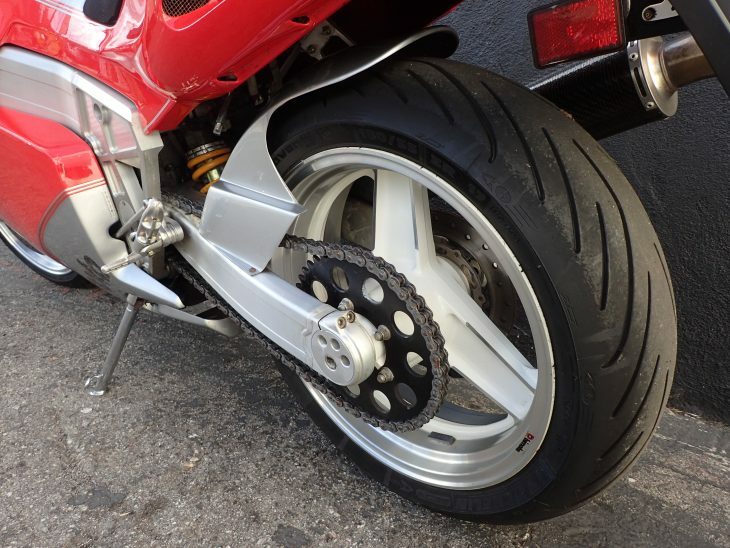 Unfortunately, they've also been pretty hit-or-miss when it came to the actual riding, often from bike to bike. 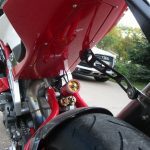 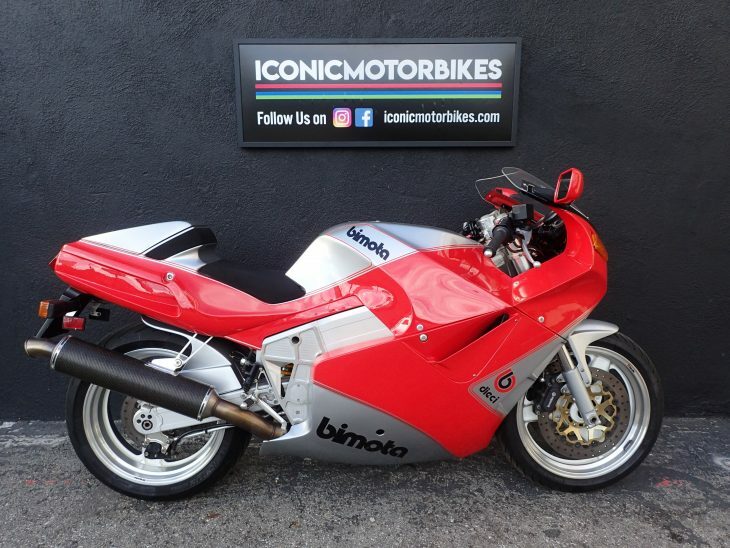 Set up for any Bimota is key and, in spite of claimed advantages in terms of power, weight, and componentry, their bikes have sometimes struggled to even match the bikes they were built to supposedly outperform. 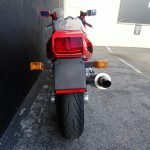 But by the time of the company's rebirth in the early 2000s, they'd gotten their act together, and today's DB7 is one of the best bikes in the company's history. 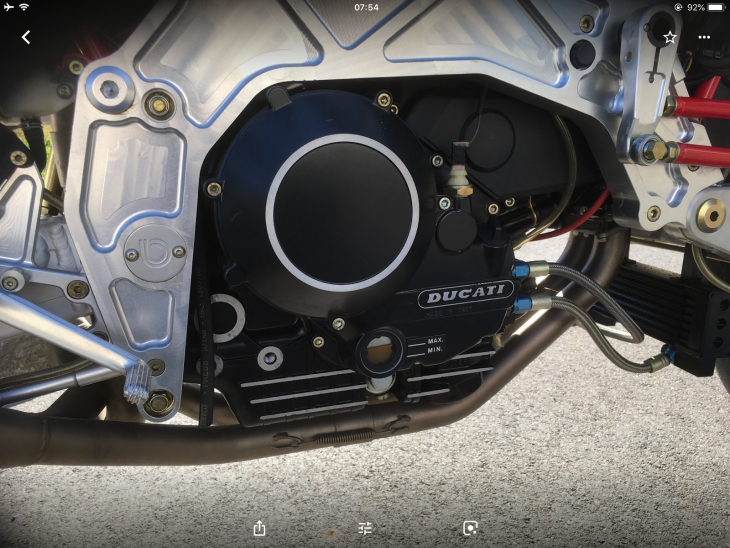 Of course, improvements in performance and quality aside, we should still at least briefly touch on the elephant in the room: cost. 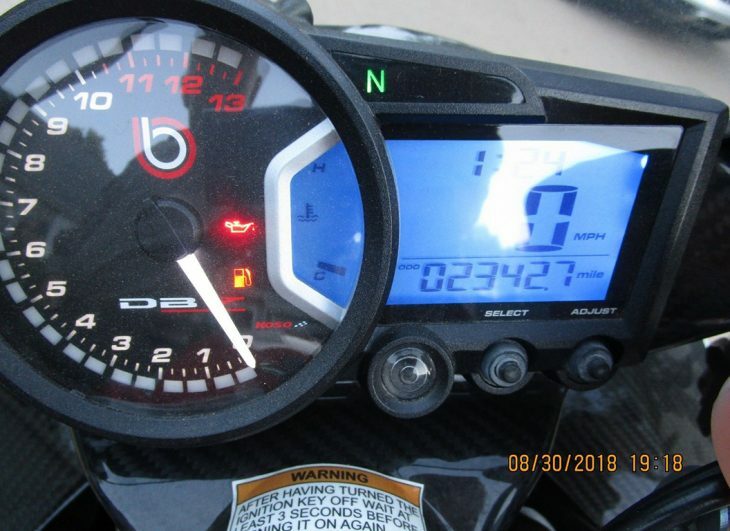 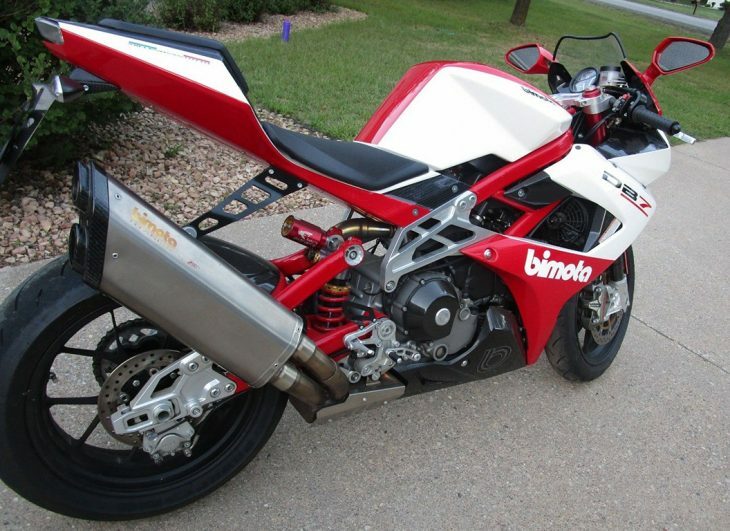 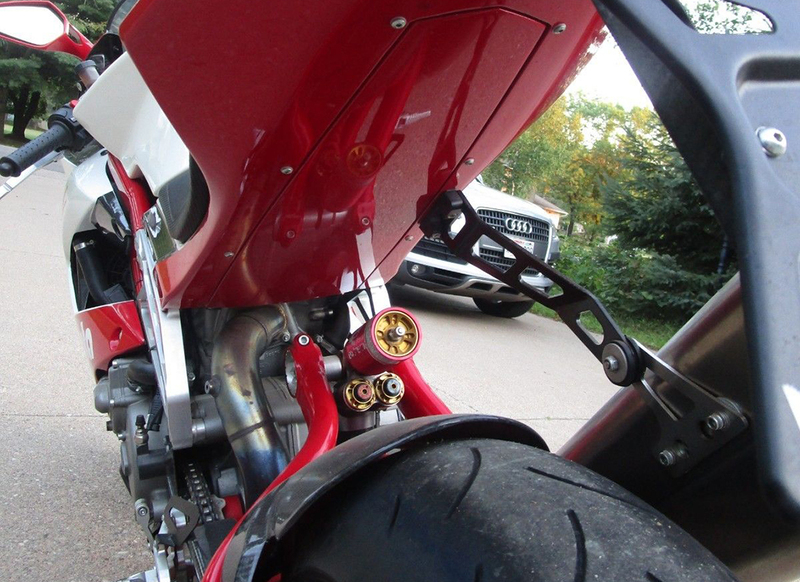 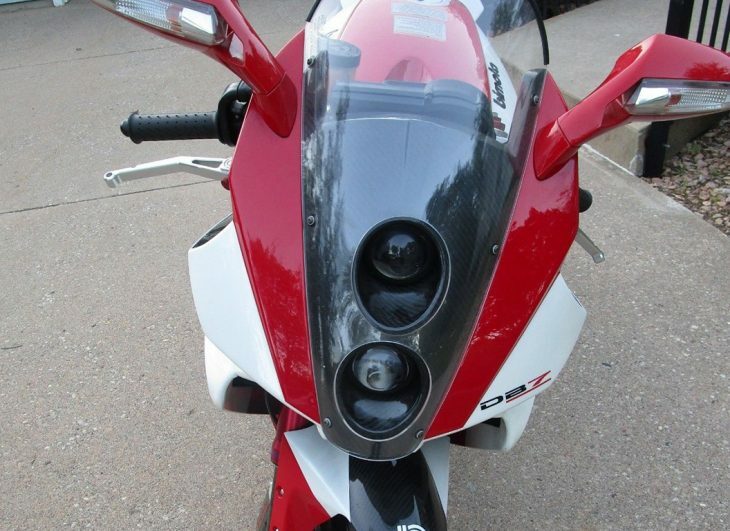 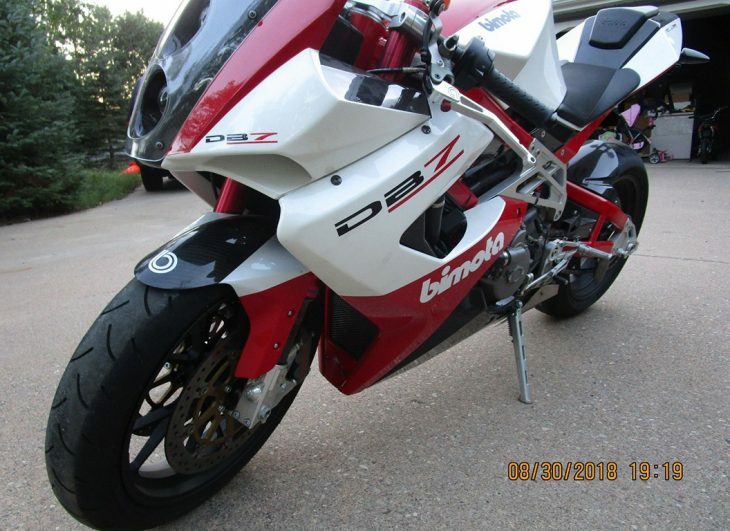 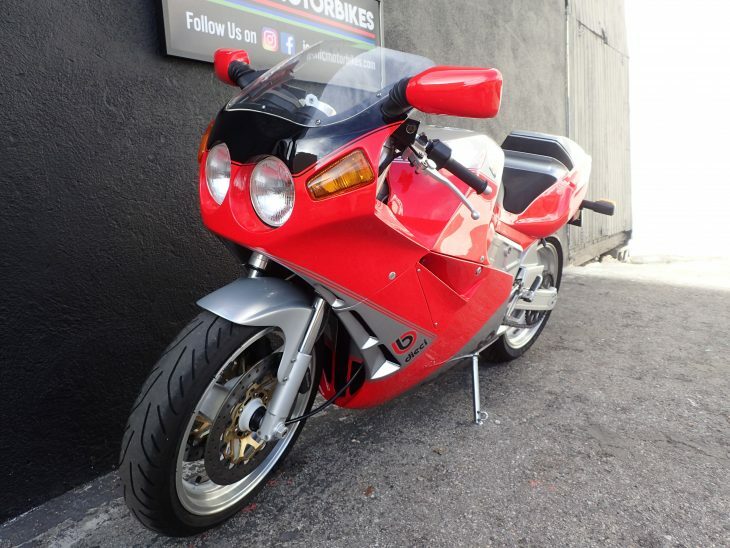 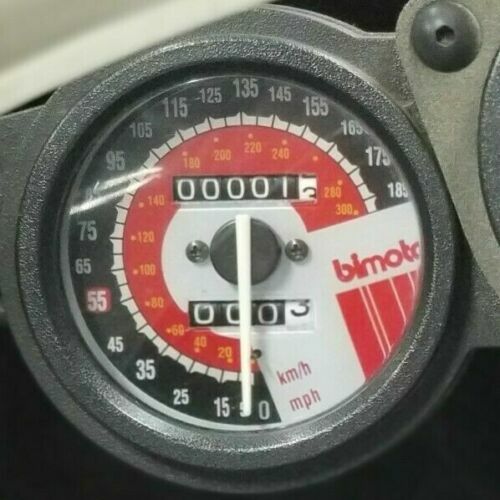 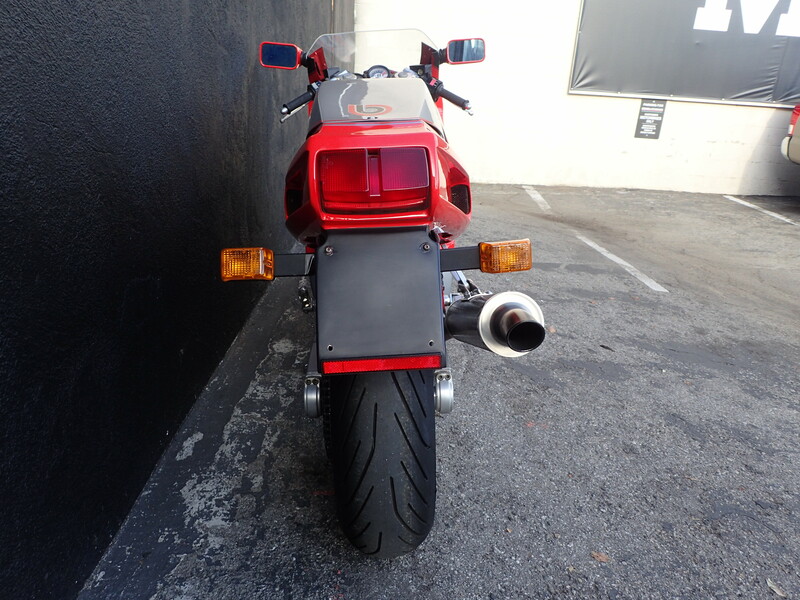 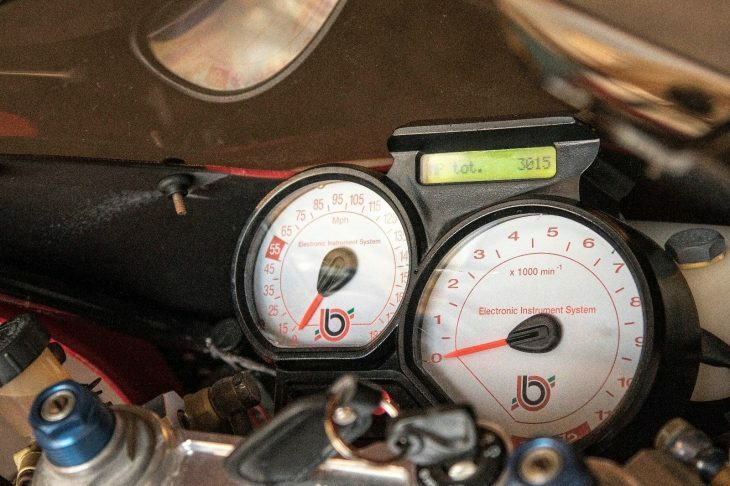 The Ducati 1098-powered Bimota DB7's $35,000 asking price was in no way a good value. 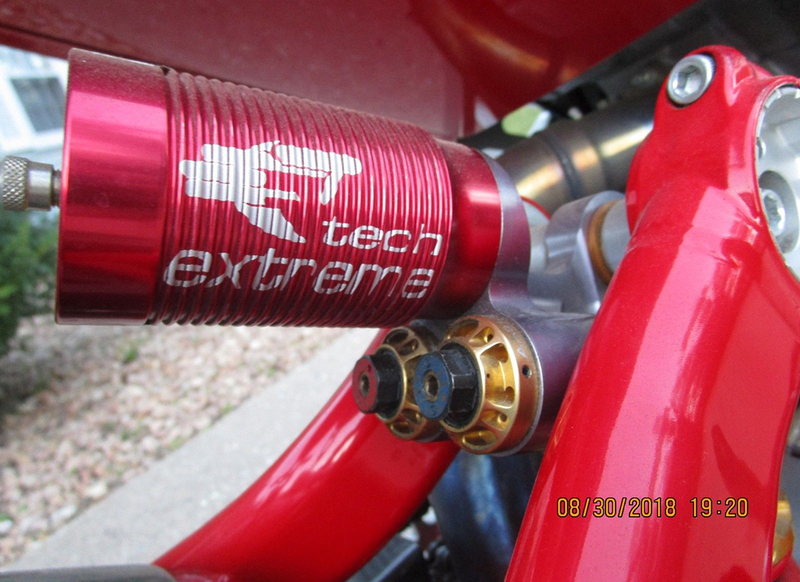 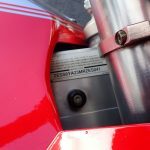 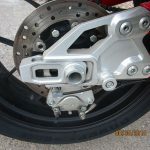 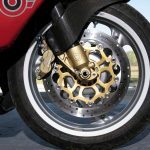 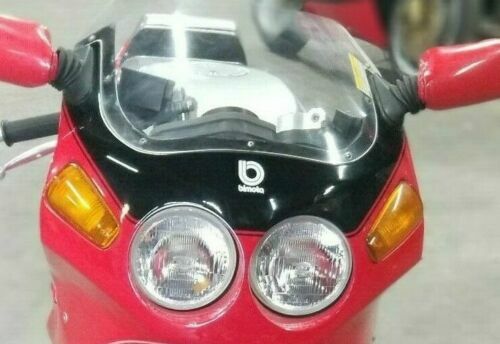 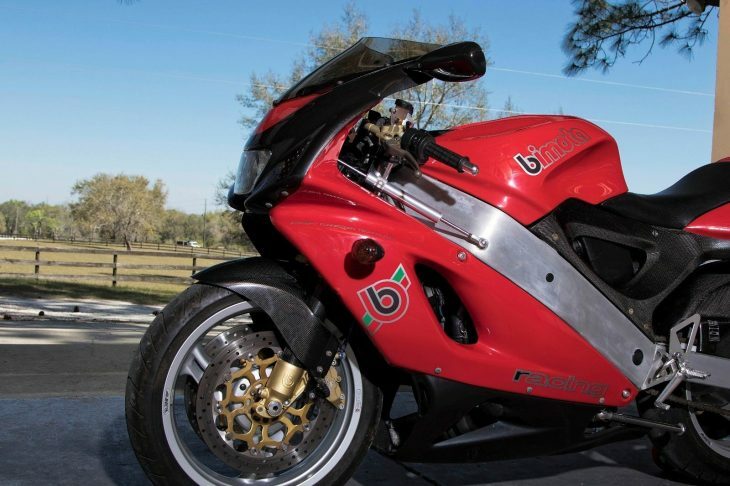 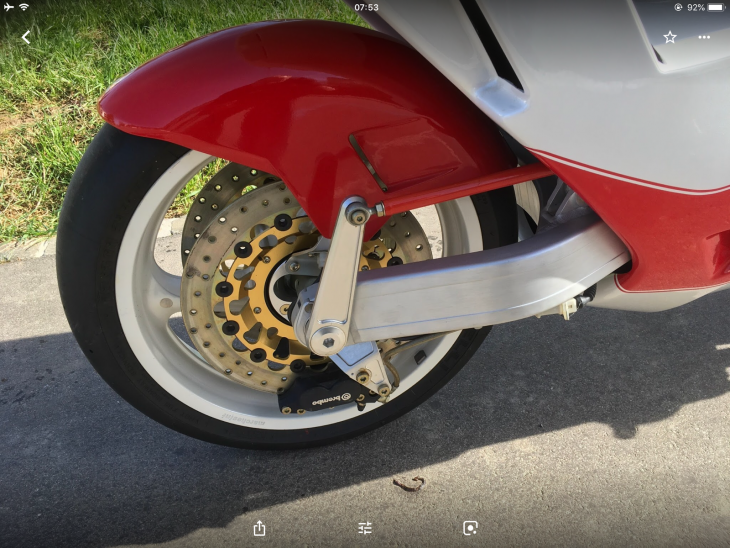 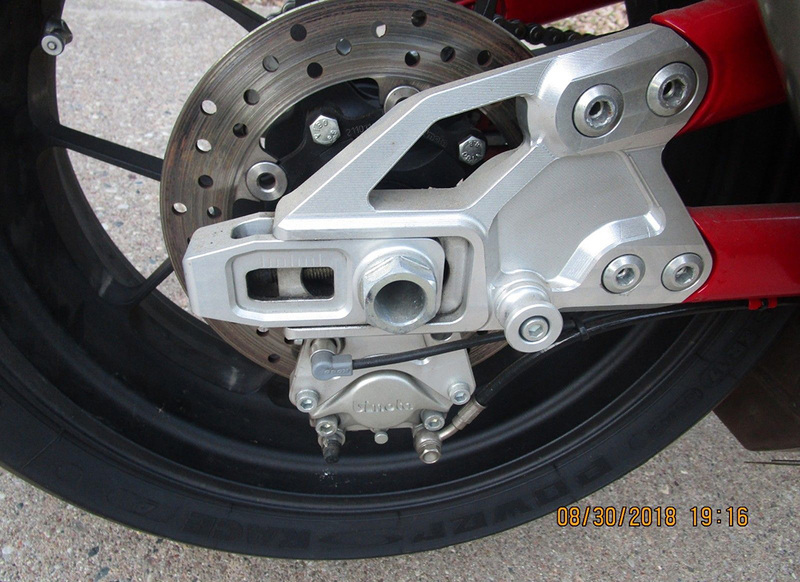 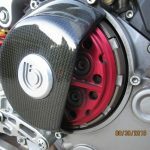 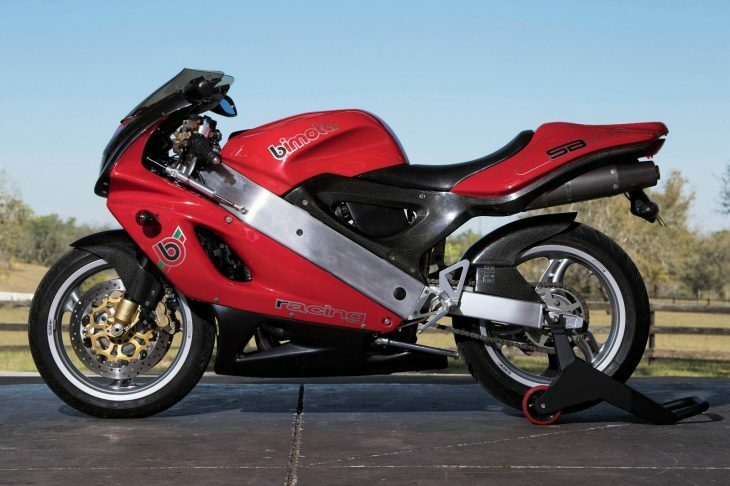 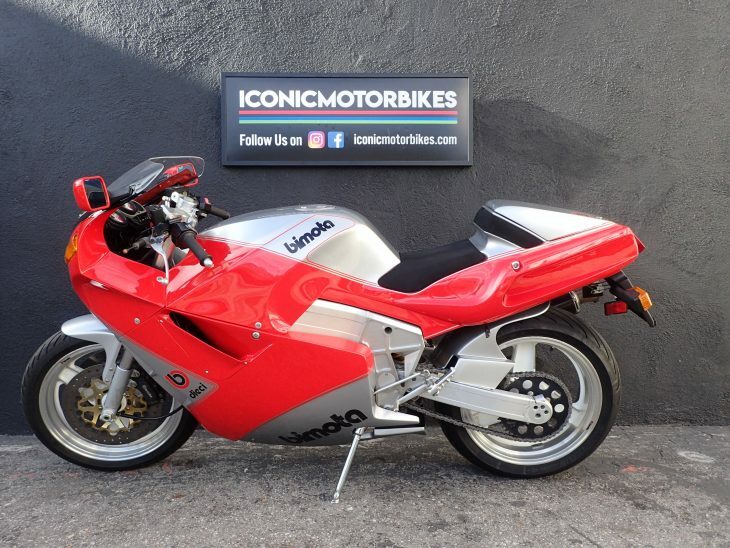 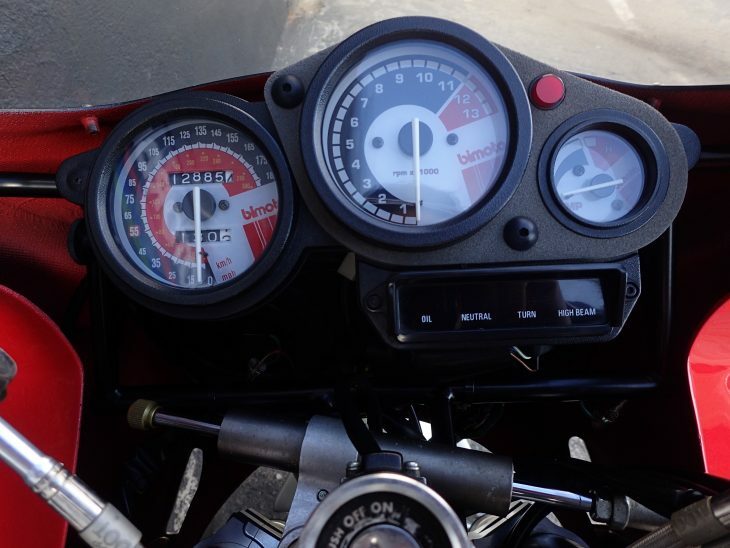 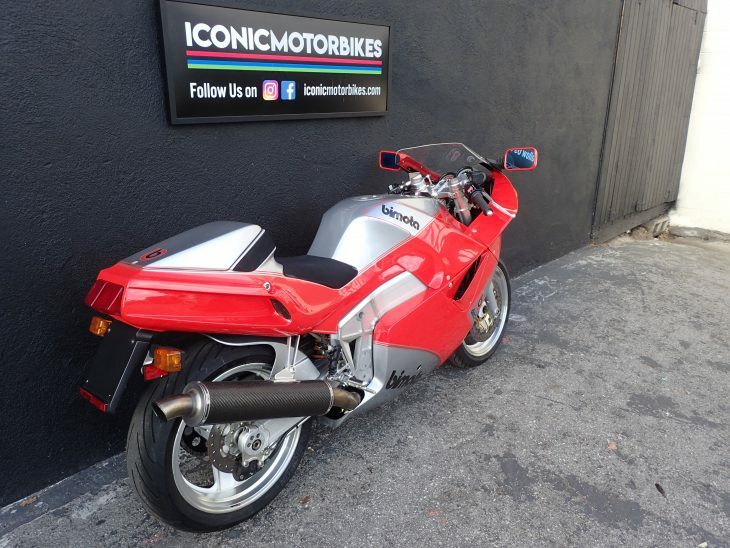 It definitely wasn't $10,000 better than the hot-rod Ducati 1098R of the same year, a bike that made significantly more power and even weighed a couple pounds less than the "lightweight" Bimota... 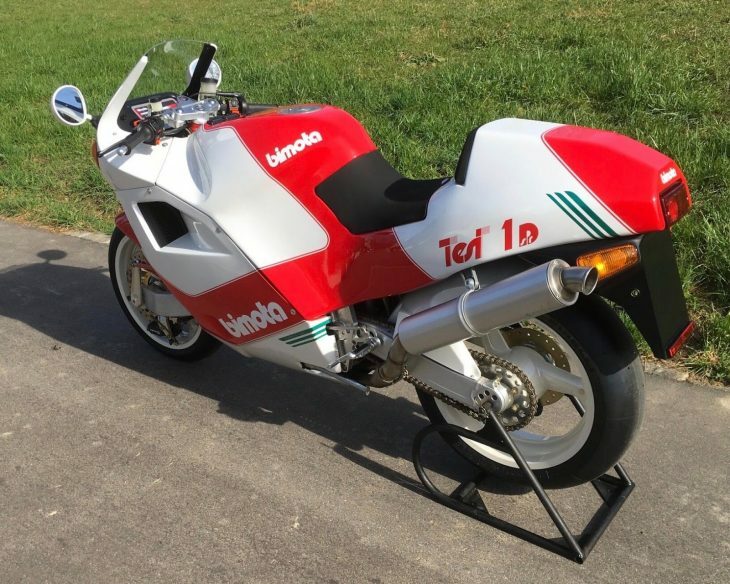 But if you're fixated on something like that, you're missing the entire point: Bimotas of this period are for well-heeled connoisseurs with money to burn, and they're not intended to make financial sense. 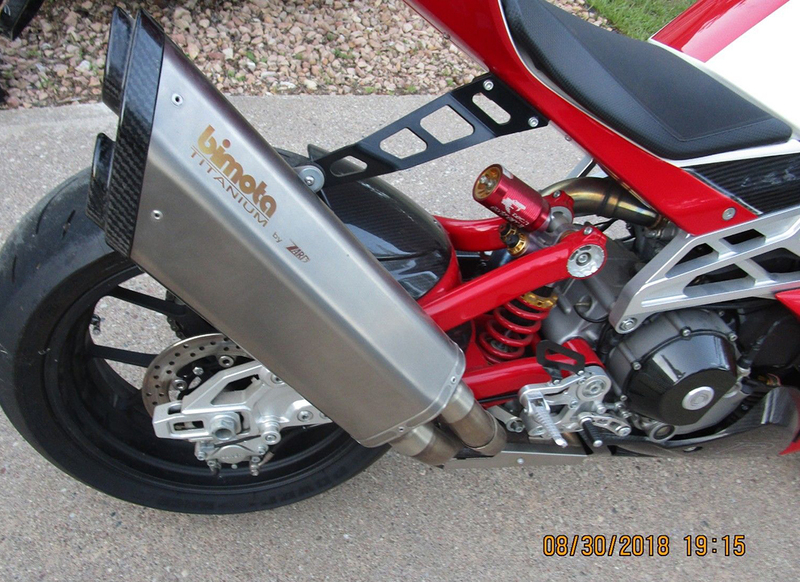 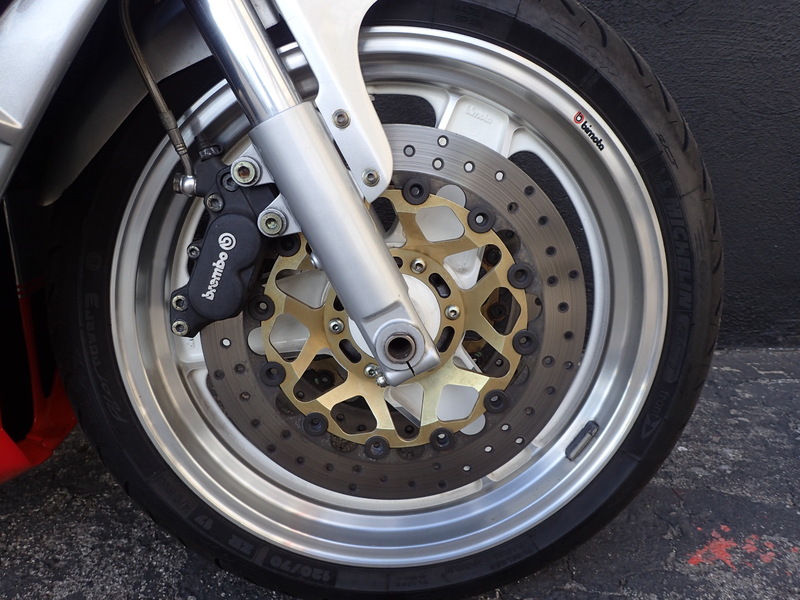 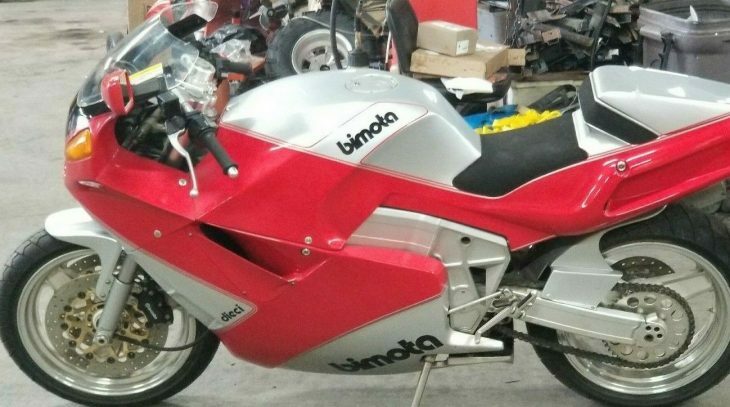 I love 90s Bimotas, but some of the details are a bit crude and they're a complete pain to work on: those gorgeous aluminum beam frames significantly limit access to the bike's oily bits, and the overall "kit-bike" quality meant the brand's reputation suffered. 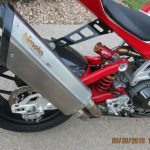 It didn't help that the major manufacturers had been honing their craft. 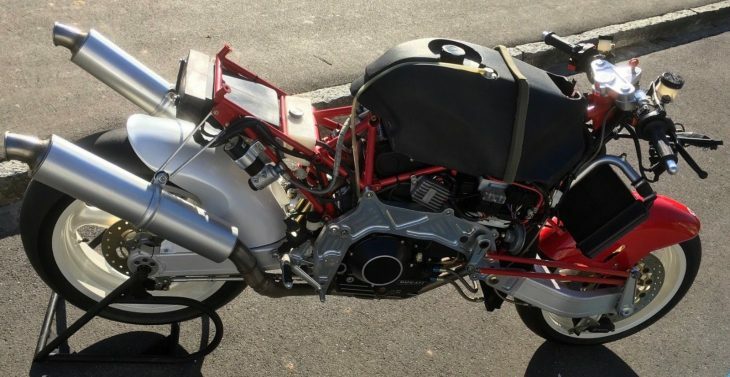 When two motorcycles with the same engine have a 150lb weight difference, the lighter machine can't help but be faster. 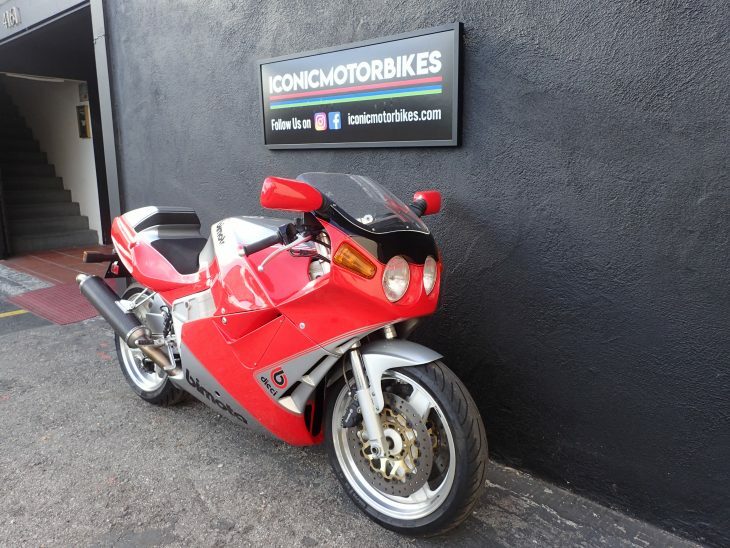 But by the late 1990s, bikes like Yamaha's R1 and the Suzuki GSX-R1000 offered the same level of performance as Bimota's creations, but with much better reliability, and at a third of the price. 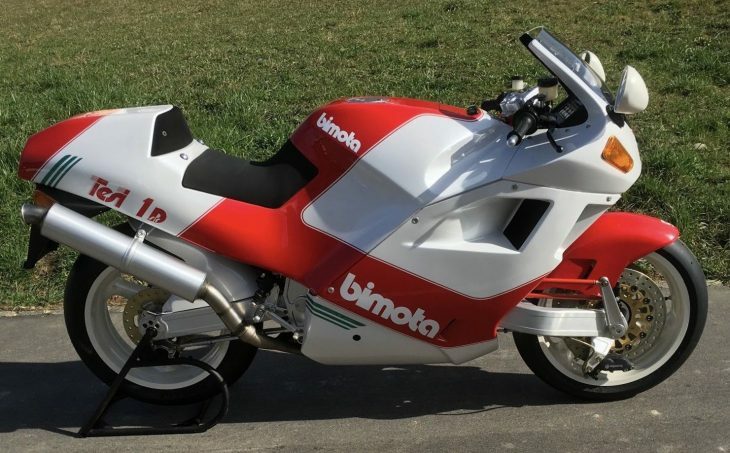 So Bimota focused on creating bikes like the DB7 that offered an incredible level of craftsmanship and detailing, even if they weren't any faster. 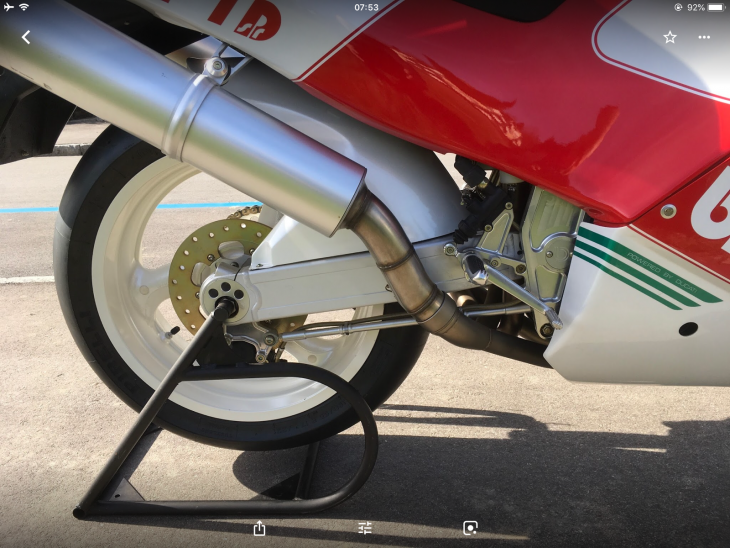 I'm not a huge fan of the stacked projector-beam headlamps, but this is the kind of machine that gets more an more impressive, the closer you get. 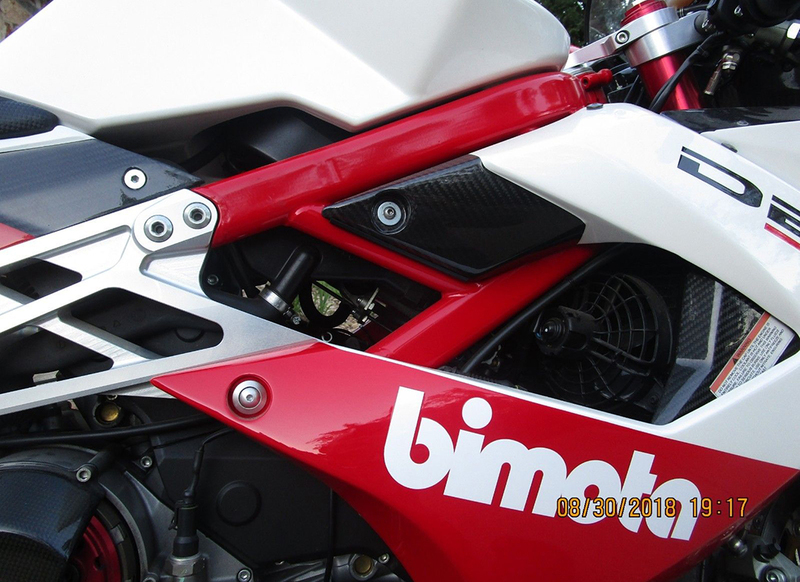 The detailing is incredible, especially the heart of the beast, or maybe the skeleton if we're staying with the anatomical metaphor... Bimota doesn't generally build their own engines, and the bikes' claim to fame has always been their frames. 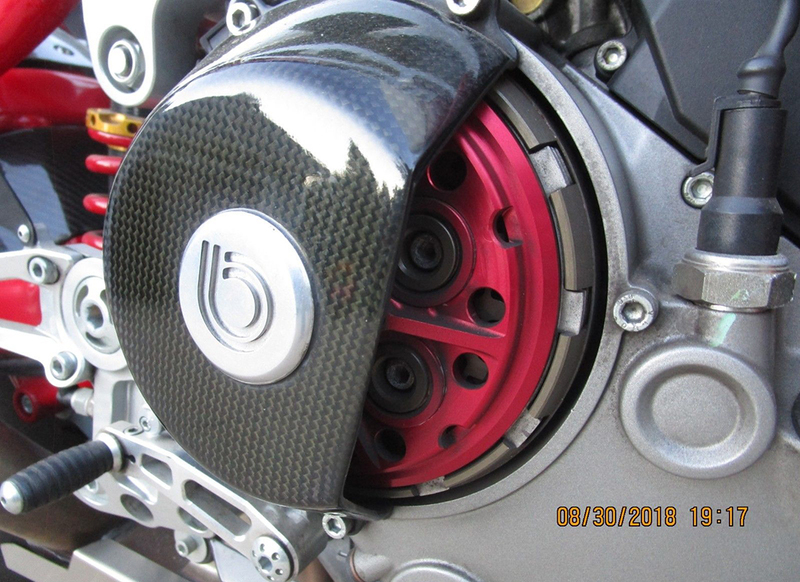 They started experimenting with hybrid frames that combined multiple materials with the SB8R, the idea being to obtain different performance characteristics for different areas of the frame. 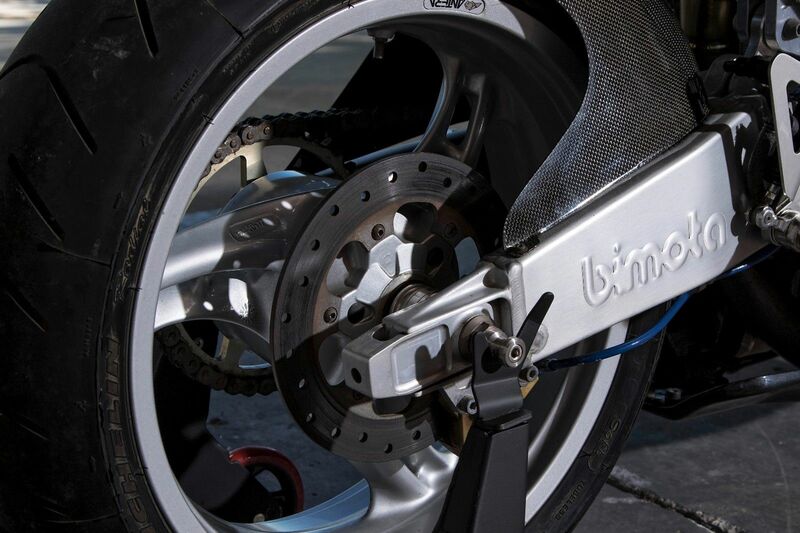 In the SB8's case, it was designed to shift weight forward for better weight-distribution and handling. 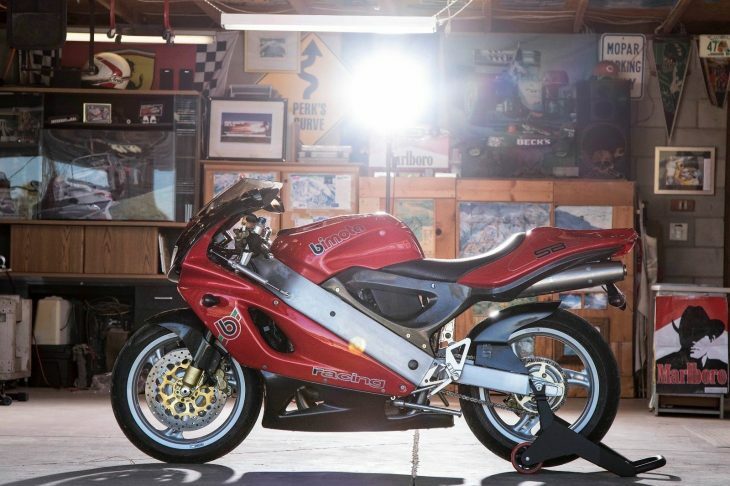 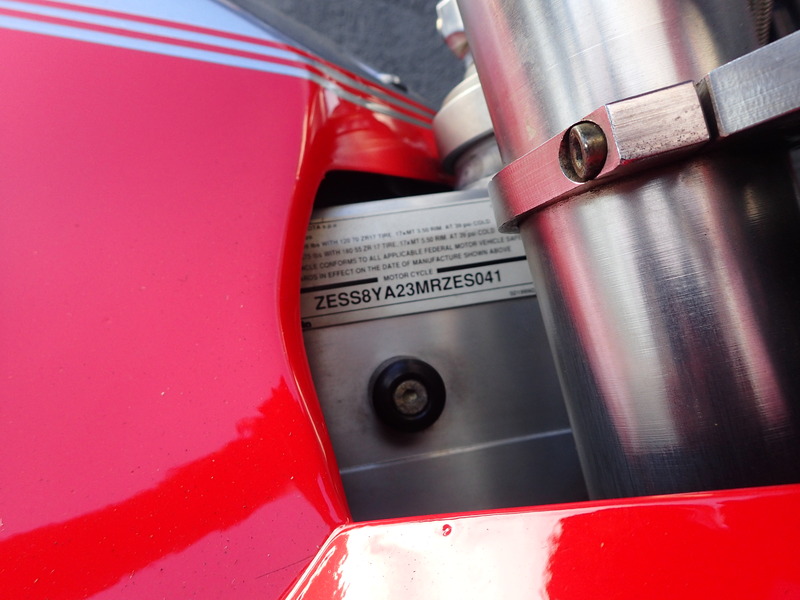 In the DB7, the frame is an evolution of the earlier DB5/6 that used a combination of trellis structures for the frame and swingarm, connected to stiff machined aluminum sideplates, a design similar to MV Agusta's modern roadbikes and their upcoming Moto2 machine. 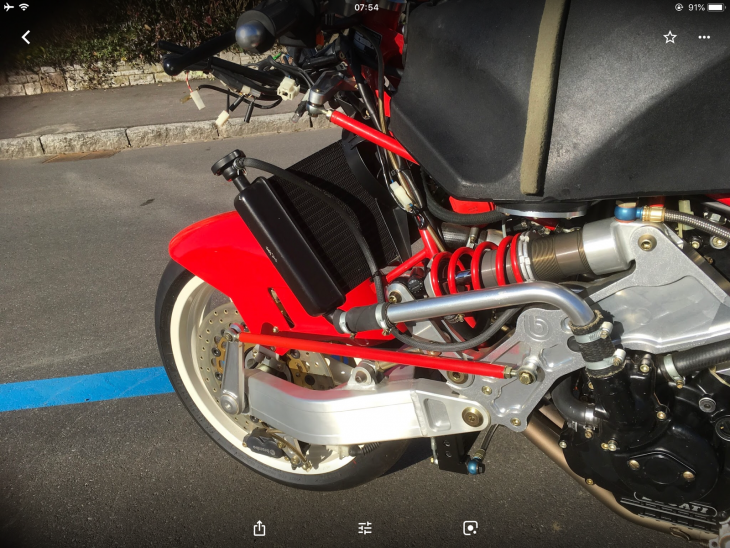 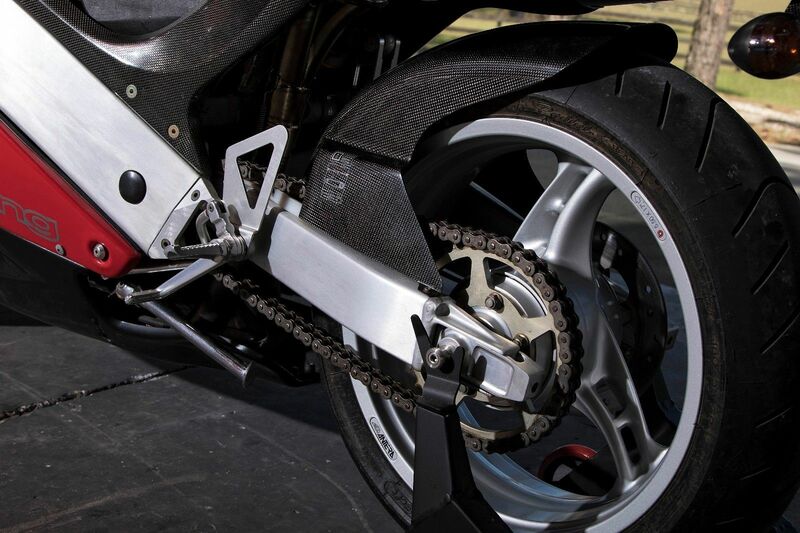 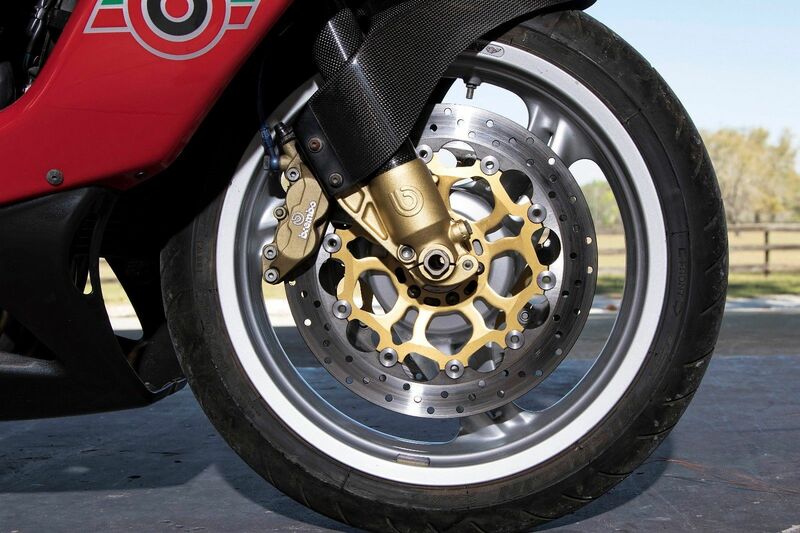 In the Bimota DB7, the tubular trellis is replaced by oval-section tubing, and the overall effect is similar, and the bike looks light and agile, even at rest. 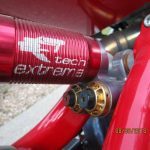 Of course, improvements in performance and quality aside, we should still at least briefly touch on the elephant in the room: cost. 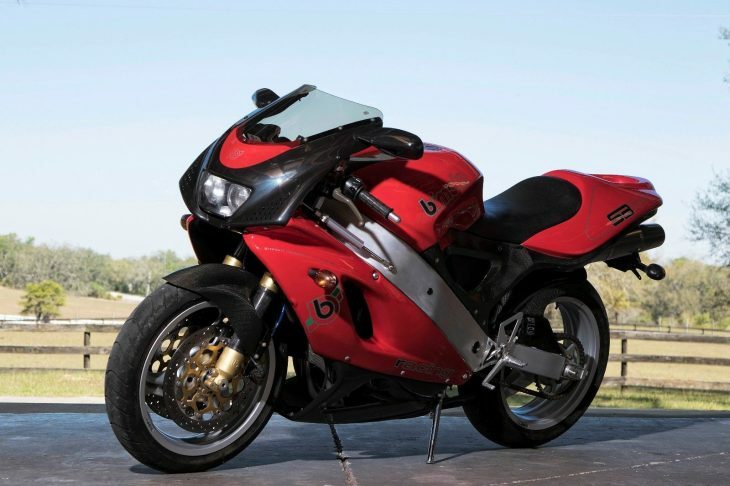 The DB7's $35,000 asking price was in no way a good value. 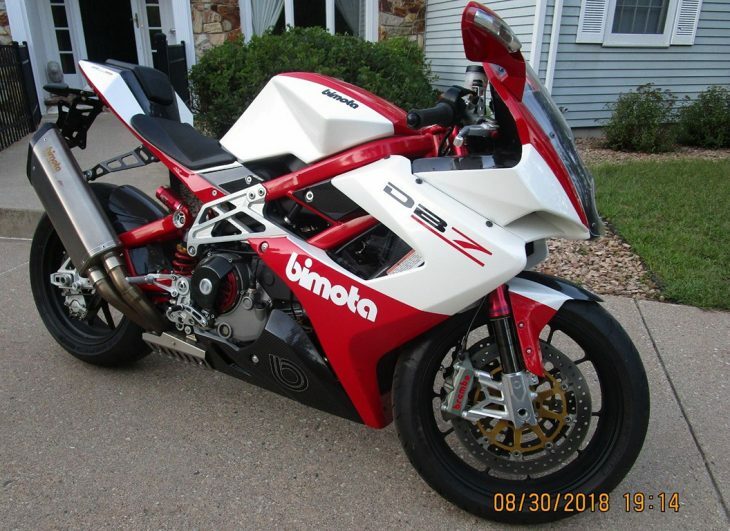 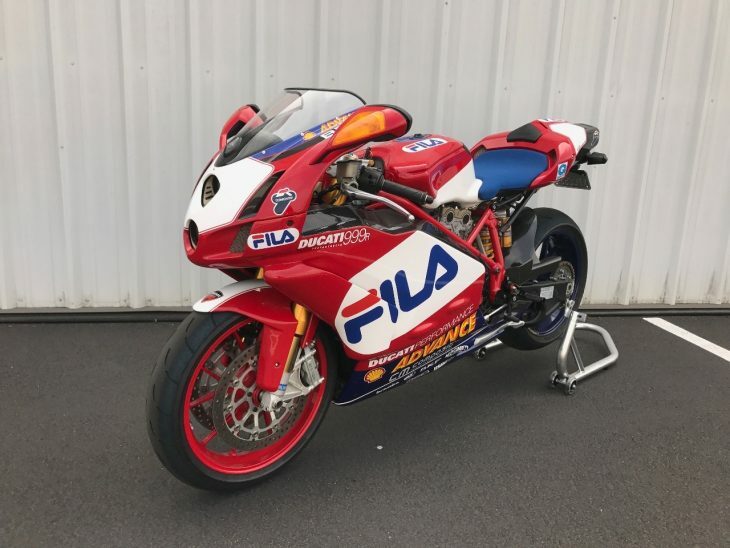 It definitely wasn't $10,000 better than the Ducati 1098R of the same year, a bike that made significantly more power and even weighed a couple pounds less than the "lightweight" Bimota... 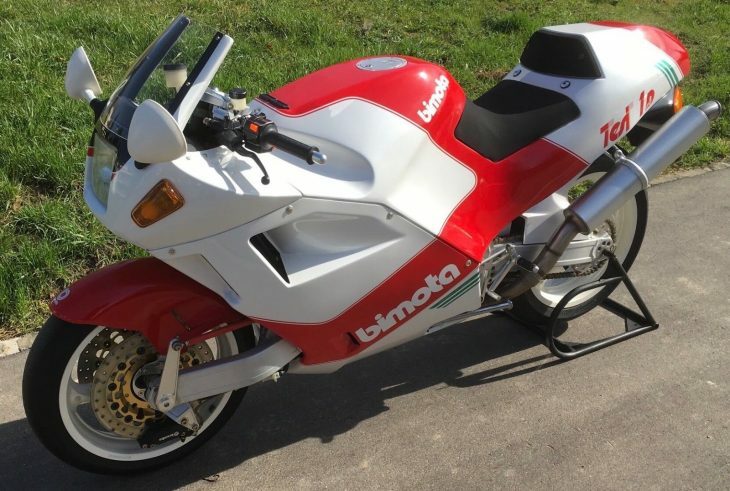 But if you're fixated on something like that, you're missing the entire point: Bimotas of this period are for well-heeled connoisseurs with money to burn, and they're not intended to make financial sense. 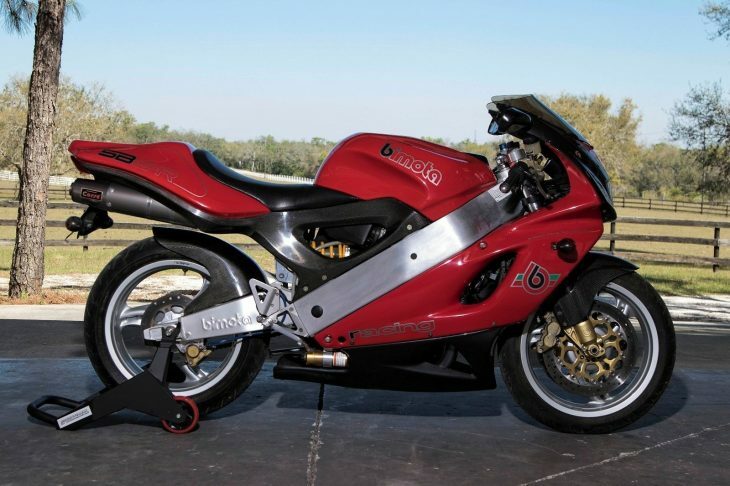 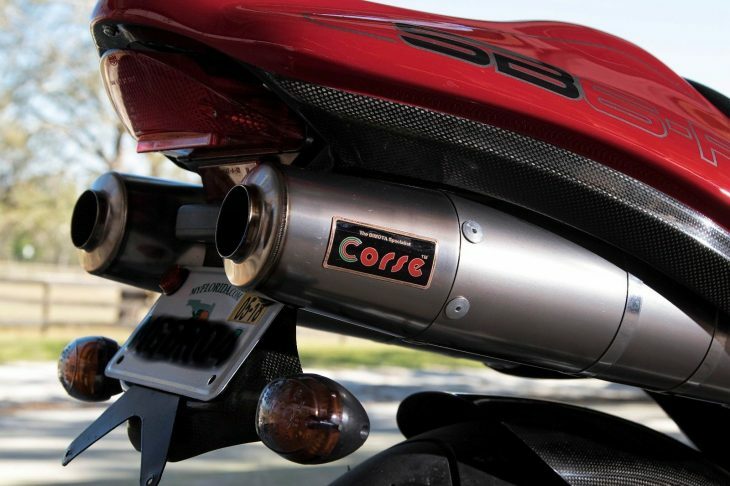 The DB7 was Bimota's first superbike after their rebirth in 2003, and it featured Ducati’s 1098 Testastretta Evo engine. 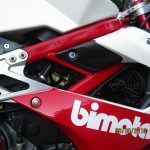 The engine isn’t the only impressive part–in addition to Bimota’s home-brew oval tube trellis frame, this bike is packed with top-shelf components like Marzocchi forks, Brembo Monobloc calipers, and the fully adjustable ExtremeTech rear shock. 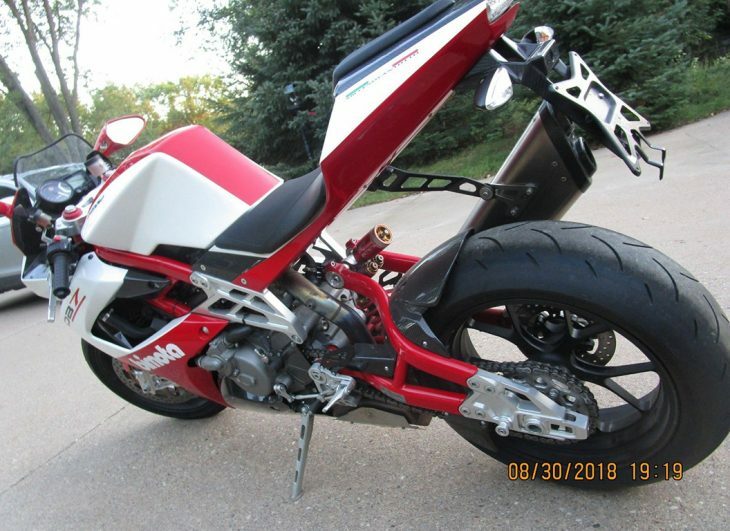 But what truly makes this bike stand out is the way this bike is made.